The Nigerian Army Public Relations Directorate (NAPR) has asserted that fake news is a complete threat to national security and may derail counter insurgency and terrorism efforts against Boko Haram terrorists in the north east and other armed groups in other parts of the country. The Directorate of Nigeria Army Public Relations (DAPR) along with the Nigerian Army School of Public Relations and Information (NASPRI) made the assertion at a Media Workshop and Study Period in Lagos for Commanding Officers, Army Public Relations Officers, Defense Correspondents as well as other media Practitioners with a theme:, "Fake News as Threat to National Security: The Way Forward” . The General Officer Commanding (GOC) 82 Division, Nigerian Army, Major Gen. Musa Yusuf in his remark said that the focus of the workshop was timely, since it was coming at the time Nigeria is battling with numerous security challenges across the country. He added that the workshop will help the nation to address fake news in a “collective resolve to bring the situation under control”. “May I also quickly add that some unpatriotic activities of our country men and women have downplayed the level of success we have recorded in our operations is worrisome. More disturbing is their resolve to churn out fake news in a desperate attempt to supplant our narrative. "This situation has played out particularly in the new media environment, must be stopped if our narrative in and out of theater is to be sustained. Let me also add that, fake news has eaten deep into all spheres of our national lives as such we must collectively put a stop to it,” Yusuf said. The GOC further appealed to critical stakeholders in the fight against fake news to, “see the workshop as a clarion call to our social responsibility to halt this ugly trend. I also want to urge you to discredit fake news in our society and engender positive narratives that will lead to national cohesion and unity”. The Director of Army Public Relations (DAPR), Brigadier Gen. Sani Kukasheka Usman in his remark enjoined Public Relations Practitioners in the Nigerian Army to embrace their great roles in making the public understand and support the Nigerian Army as it confronts the various security challenges across the country. The Director notes that the assignment was critical to the public perception and image of the Nigerian Army, and they would therefore be required to develop, implement and monitor operational and tactical communication strategies and provide timely advice to all levels of command within the Nigerian Army. "For you to meet up with these duties, you must keep abreast with contemporary development in the field of public relations, this could be attained through training such as this", Sani said. Usman however, added that the Directorate has evolved the use of the social media to tell the Nigerian Army’s story and also listen through interaction and gauging feedbacks from the public. “It is heartwarming to note that the response from the public have been quite encouraging. However, a new development associated with this phenomenon is the issue of inaccurate reporting of events that often graduate to sheer fabrication or fake news. It is on this premise that this media workshop and study period tends to focus on fake news,” Sani said. He also defined fake news, as a misconception and misrepresentation of issues as it affect our operations and other military activities when not properly addressed, it hampers our operational activities and demoralize our troops. The DAPR further tasked the participants on the need to engage the public by telling “our story rightly”, pointing out that. DAPR was also mindful of the risks associated with fake news hence the need to set aside this training period to help their personnel understand how to liaise with the media and present the true situation of event as they occur. 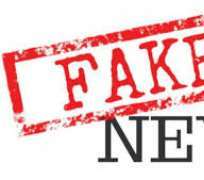 The Commandant, NASPRI, Colonel Mustapha Abubakar Anka said that fake news has become an issue of national concern and indeed a menace which if not addressed at its infant stage, can pose great threat to the security of our dear country Nigeria. He elaborates on the works of Dr.Ugoji Egbujo who described fake news as, “a potential weapon of mass destruction, having the stubbornness and ruthlessness of a Californian wild fire”.